Miyajima is easily accessed from Hiroshima. Good to know: the Torii gate will be under renovation from June 2019 for about 1 year. 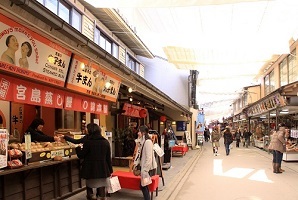 Welcome to Kikugawa. 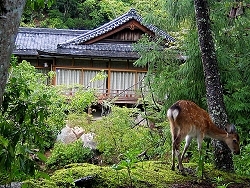 This Modern Ryokan is located in Miyajima known for its pleasant, natural scenery. 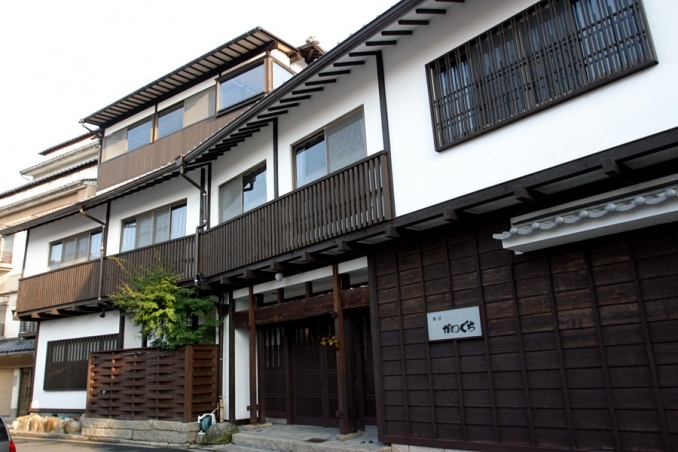 There are 8 guest rooms at Kikugawa, including 1 Japanese style room, 6 Western style rooms and 1 Japanese-Western style room. Unfortunately, there are no shared baths, but each room has its own private bath and toilet. Traditional Japanese cuisine is served to guests. Free parking is available, but there is only room for one car so a parking reservation is needed. Welcome to Ryoso Kawaguchi. 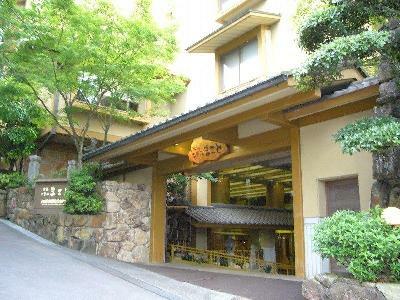 This is Modern Ryokan is located on a quiet street of Miyajima-cho and is very convenient to all the historical sights. It is family run and operated with the goal of making you feel at home. Meals are home cooked with local ingredients and change depending on the season. The owners are devoted to making you feel like you are staying with friends. Welcome to Kinsuikan. 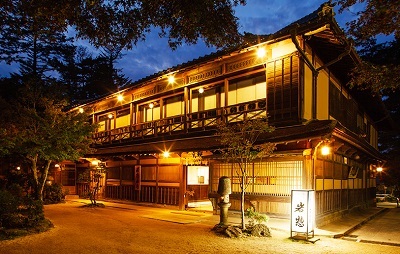 This Modern Ryokan has 39 guest rooms and most of the guest rooms are in traditional Japanese style (there are also deluxe rooms which have antique, Japanese style hearths). There are also two large indoor wooden baths for women and men (same gender only). All rooms at Kinsuikan have their own private toilet and baths/showers. Fresh, seasonal meals are served year-round. Check-in time is after 15:00 and check-out time is before 11:00 am. Welcome to the Hotel Miyarikyu. 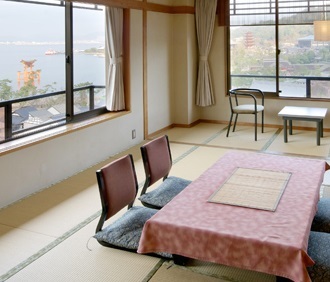 This Ryokan Hotel is only a 3 minute walk from the ferry terminal on Miyajima Island. 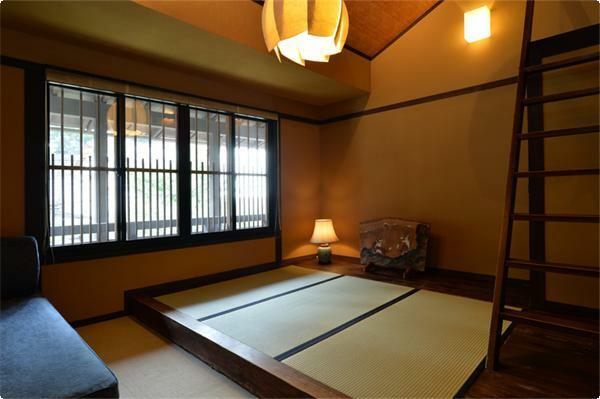 There are 64 Japanese-style rooms in the Hotel Miyarikyu, and each guest room has its own private bath and toilet. A shared bath is available to both women and men (same gender only). 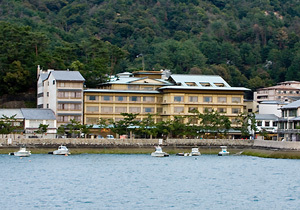 Fresh seafood dishes are served at the Hotel Miyarikyu, and all of the seafood is from the Seto Inland Sea. Welcome to Kikunoya. From among a wide variety of Japanese-style and Western-style guest rooms which look out onto the ocean and are enveloped by the soothing and healing effects of the forests, select a room that best suits your fancy, all designed around the concept of comfort and relaxation. 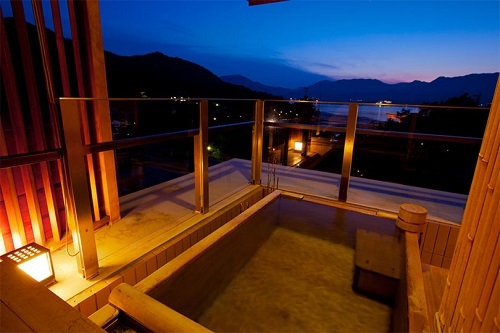 Enjoy enchanting views of the O-torii gate of Itsukushima Shrine from some the rooms on the ocean side.